Tank Encyclopedia was launched on December 4th, 2011. It was the brainchild of David Bocquelet, who initiated the website as an SEO (Search Engine Optimization) testbench and a place for his beautifully detailed illustrations. David worked alone on the website for quite some time, writing and illustrating most of our earlier articles. He was soon joined by more team members and, since 2011, the Tank Encyclopedia has grown to approximately 40 members of multiple nationalities. 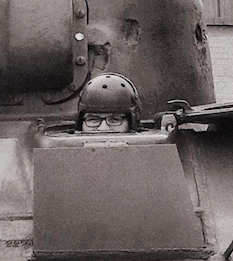 This page will serve as your guide to the people behind the scenes at your favorite armored history website, from Writers and Illustrators to Researchers and 3D-Modelers. A few of our members have also given interviews about themselves to Mr. Alatabi, which will be published here as well. 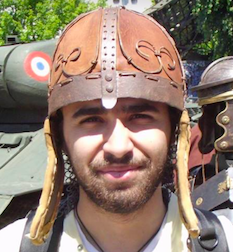 David, from France, started Tank Encyclopedia in 2011, and is still an active contributor. His first post was on December 10th, and was an article on the WW2 Polish TK-3 Tankette. As well as being the creator of the website, David is also our most prolific Illustrator. 90% of Tank Encyclopedia’s articles have an illustration created by him. David does not just illustrate AFVs, as he also maintains Naval Encyclopedia. He has a website where he sells drawings of other subjects, including ships and landscapes. You can read David’s articles HERE. Writers represent the backbone of Tank Encyclopedia, constantly researching and writing new articles for publications. Editors are responsible for making sure that said articles are in good shape and ready to be published by reviewing content, grammar, and spelling. Andrew Hills is from the UK, but currently lives in the USA. He joined Tank Encyclopedia in March 2016, his first article was on Zimmerit in German Use. He is our resident WW1 and 2 Italian expert, but his knowledge and source library encompasses a large palette. Andrew recently had his first book published ‘The Tanks of TOG‘, the definitive guide to the famous TOG tanks and runs; FWD Publishing, a private military publishing company. He is currently working on several more tank books. You can read Andrew’s articles HERE. Andrew Hills also has a Youtube channel called ‘FWD Publishing‘ where he posts historical tank films. Craig, from the United Kingdom, is a retired Metropolitan Police Seargent. Also known as ‘Tank Hunter’, Craig is perhaps our most famous team member. He is well known in AFV history circles. 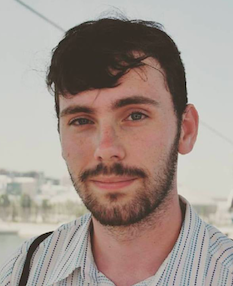 Craig joined the website in March 2016. His first article was about the WW2 10.5cm leFH 18 (Sf.) auf Geschutzwagen 39H(f) SPG. Craig is our resident WWI and German WW2 SPG specialist. As an Editor, he makes sure that articles are ready to featured on the website. He has good experience in this field as he is also a published author. In 2017, Craig’s first book, ‘Tank Hunter: World War One‘ was published. You can read Craig’s articles HERE. Craig has also done a ‘Top 5 Tanks’ video for the Tank Museum’s YouTube channel. You can watch that HERE. 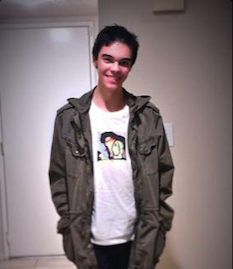 Will is from the United Kingdom and joined Tank Encylopedia in March 2015, being one of the first members to join. 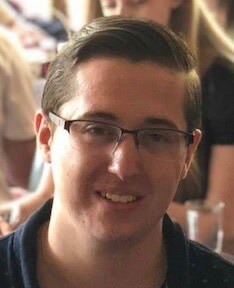 Will has a formal education in history, and is eventually working towards a PhD. He is the resident Chinese pre-1950 and Spanish Civil War expert, and also speaks Spanish. To this end, his favorite article that he has written is the Panzer I Breda. You can read Will’s articles HERE. Will Kerrs also manages two Facebook research groups: Chinese Civil War Vehicles – Tanks, Armoured Cars, Aircraft and Spanish Civil War Vehicles – Tanks, armoured cars, and aircraft. Dewald is from South Africa and has a PhD in Tourism Management. 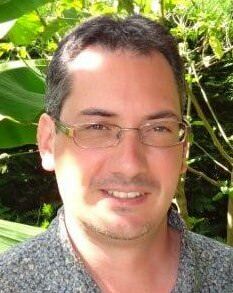 He is a senior lecturer in the tourism field and has a research focus in military heritage tourism. 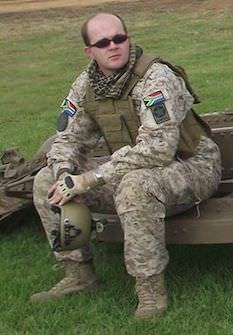 He works closely with the South African Armor Corps and is our in-house expert on South African military vehicles. His first article was on the Ratel ICV which was published in January 2017. He is currently working on a book titled “Tank Encyclopedia’s guide to South African Armoured Fighting Vehicles” due for release by mid-2019. He is also a contributing author on the Ratel ICV history book to be released in 2019. You can read Dewald’s articles HERE. Dewald Venter managed two Facebook research groups: SA Armour Museum and South African Defence Industry & Military Related. Gareth has been interested in tanks from a very young age and joined Tank Encyclopedia in January 2017. He is from Spain, but currently lives in the UK. His first article was The Swedish Königstiger. 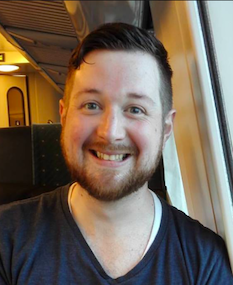 Gareth has a degree in International Relations and Modern History and is currently a postgraduate student. 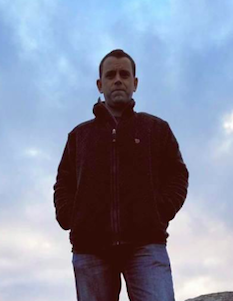 Gareth’s main area of specialty is the Spanish Civil War, but also researches and writes about conflicts and tank warfare in Latin America and Africa. Gareth is also one of our Librarians, in charge of our vast collection of tank literature. You can read Gareth’s articles HERE. Harold is from the state of Pennsylvania in the United States, he was brought on board Tanks Encyclopedia in mid-2016. Harold is currently a college student majoring in history and archival science. He is knowledgeable in all areas of tank study but specializes in the military vehicles of Germany, particularly during the Nazi period. He prides himself on the thoroughness of his articles, and is currently working on an exhaustive history of the Panther tank and its derivatives. You can read Harold’s articles HERE. Adam, from the UK, once served in an infantry battalion of the British Army Reserve. He now works in the construction industry and lives near Bovington. Adam is our resident M4 Sherman expert. His first article with us was on the M4A3E2 ‘Jumbo’. You can read Adam’s articles HERE. Adam Pawley manages a Facebook research group: The Medium Tank M4 (Sherman) Group. Mark Nash, from the UK, joined the Encyclopedia in August 2016. His first article was on the Soviet Object 416. 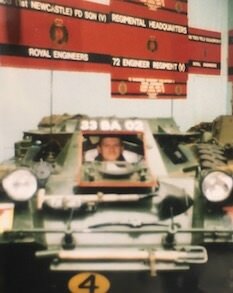 Mark has had an interest in AFVs since a young age. 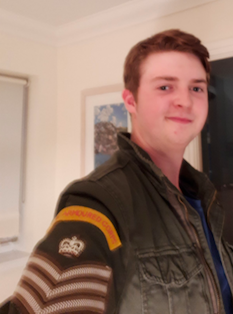 This is thanks, in no small part, to his father’s interest in general history, and his Grandfather’s participation in WW2, in NW Europe, as a 17-Pounder Anti-Tank Gunner in the 20th Anti-Tank Rgt. Mark has no specialization field but enjoys studying history’s stranger vehicles. 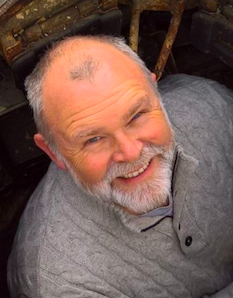 Mark has also recently become a freelance writer for the UK based ‘Classic Military Vehicle’ Magazine. You can read Mark’s articles HERE. Mark Nash is also an avid amateur photographer. He displays his work on 500px.com. Australian Thomas Anderson holds a bachelor’s degree in science and an honors degree in history. He joined Tank Encyclopedia in 2017. He is our resident expert in AFVs used and produced by Australia. To this end, his first article was a look at the AC I Sentinel, published in January 2017. As comment moderator, Thomas is responsible for ensuring a productive discussion is maintained on the site and to correct errors that our readers make known to us. You can read Thomas’ articles HERE. 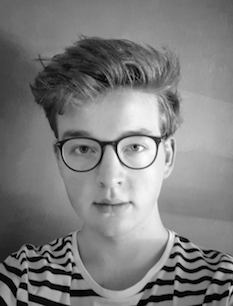 Leander is from the Netherlands and currently studies at the University in Rotterdam. Leander initially wrote for the Dutch Wikipedia but decided to take it a step further and join the TE team in March 2017. His interests are focused on early Dutch armored vehicles but he is also interested in (pre-)First World War and early Interwar designs, especially from Austria, Czechoslovakia, and Germany. His first article was on the Czech Libenska-ČKD F-IV-H. Leander is also interested in literature, architecture, art, history in general, cars, sports, baking, drawing, gaming, and nature. You can read Leander’s articles HERE. Laurance is a proud mongrel of Manx (Isle of Mann), of Irish and British descent. Raised in a military family, he was brought up surrounded by military history and life. He joined Tanks Encyclopedia in 2017. His first article was the 37mm Bofors anti-tank gun. As a former Territorial Infantryman, he is more inclined towards destroying tanks than operating them and has become TEs resident anti-tank writer. Now living in Finland and working as a Chef, he has taken a liking to Finnish history and also writes on our Finnish armor and related pages. You can read Laurance’s articles HERE. Francis is from Brighton, England, and is a published military historian. Francis has been writing for Tanks Encyclopedia since September 2016, and is our resident World War Two Soviet expert. Francis’ first book, ‘Fallen Giants: The Combat Debut of the T-35A Tank‘ was published in August 2017. When not writing for TE or writing his books, Francis is involved in two restoration projects, Both T-34 tanks. Francis favorite article he wrote was on The Battle Of Verba, about the T-35 tank, also the subject of his first book. You can read Francis’ articles HERE. Francis Pulham runs a Facebook page dedicated to his books: Francis Pulham Books. David originally hails from the East Anglian Fens, and thus thinks that hills are unnatural formations. When he’s not at his job as a Security guard, he likes to practice archery. However, most of his time is taken up with research for several books he is working on. He as already published one book, ‘General War Stories’. His area of specialty is British tanks and guns from about the mid-1920’s. David joined us in 2017. His first article was an April Fools special about ‘Project Tigre’. David Lister has also got a Facebook page: historylisty. He also writes on the ‘Overlord Blog’. Marko is from Serbia and is an Economist in Tourism. He joined Tank Encyclopedia in 2017, with his main interest laying in World War Two and Cold War Yugoslavian, Polish and German vehicles. His first article was on the Škoda Š-I-D (T-32). You can read Marko’s articles HERE. Marko Pentelic also writes for one of our sister websites, Plane Encyclopedia. 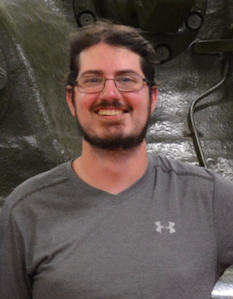 Jeremy Rosenblad is from the United States, he joined Tanks Encyclopedia in 2017. He formerly wrote for For The Record News and now assists as a Consultant for Armored Warfare having informally assisted with World of Tanks previously. He received his degree in History back in 2013. His focus is in German Tank Engines, US WW2 Vehicle Development, US Tank Engines and Cataloging Tank Ammunition from all countries which remains a continuous work in progress with 2200+ rounds logged and counting. 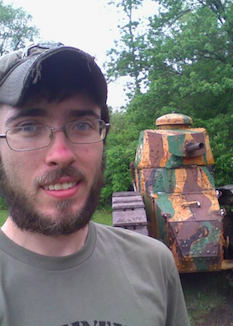 Joshua resides in the southern portion of the United States and has been an avid tank enthusiast since primary school. He joined Tanks Encyclopedia in early 2016, his first article was the BMPT. His main field of interest was originally World War 2 Romanian tanks, but has now extended it to most Romanian ground equipment from all eras whether it be never built to mass produced weaponry with a mild interest in Romanian aviation. His constant need to be thorough, detailed, and accurate combined with his snail’s pace article writing has caused his articles to become constantly delayed with relatively few being published. He strives to become a published author sometime in the future. You can read Joshua’s articles HERE. You can read Kittichart’s articles HERE. Chris has strong ties to Germany but was born and raised in Canada, surrounded by the military. When he was ten his father and uncles saw service in Afghanistan. Chris joined Tanks Encyclopedia in 2018. His first article was the Type 2 Ke-To. When not writing articles, Chris is working on filling our public suggestions page and he has started working with our sister website, Naval Encyclopedia. You can read Chris’ articles HERE. Sonny grew up in Suffolk in the UK. He quickly developed an interest in all things military. Impressed most of all by tanks, Sonny read widely on the topic until he began to develop a specific interest in early Second World War German AFVs. 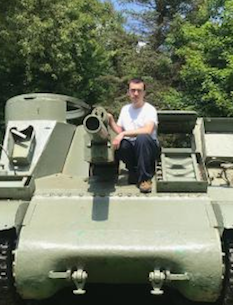 Following the completion of his History degree, Sonny decided to use his spare time to take his hobby to the next level by volunteering to write for Tanks Encyclopedia, joining the team in March 2018. His main aim is to expand and rewrite our articles on Panzer I & II. Sonny’s first article, which is yet to be published, will be on the Panzer II Ausf. G.
Sonny also helped at the first ever (Stompie Garden) open Day, along with one of our writers, Francis Pulham and Gareth Montes. 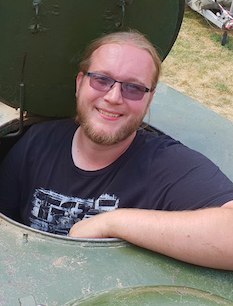 Will hails from the borders of Wales, and has been interested in History and Vehicles for many years, with World of Tanks and the Bovington tank museum being the original fuel of his interest in Tanks specifically, back in 2011. He joined the team in late 2017, though he made several previously unpublished writing endeavors. He is currently studying History and American Studies at Swansea University. As well as being interested in British vehicles specifically, he also enjoys tales of lesser-known vehicles with strange or bizarre stories behind them. John lives in Croatia and first joined the TE Community Discord on 19th June 2017. He decided to join the TE Team as a writer on the 22nd of April 2018. His first article was on the Jagdpanzer 38(t) ‘Chwat’. His interest in tanks started from a young age. John is mostly interested in Yugoslavian and Polish armor of the Second World War and Cold War. Besides tanks, he is also interested in infantry weaponry, video games, sports, history, politics, natural sciences, and numismatics. One thing Tank Encyclopedia is known for is high-quality illustrations. As already mentioned, David was the original artist, but over the years, more have joined the crew. Jaycee is from the United States and joined the website in 2015, being one of the earliest team members. He is currently mastering in history. Jaycee illustrates for us, as well doing tank stuff outside of the site. His main area of interest lies with the Renault FT, which he painstakingly researches. His current pet project is Operation Priority, a document which plans to detail all the Renault FT variants created from every nation. Jaycee has written one article on the FT which you can read HERE. Bernard is British-Polish, his first illustration for TE was in 2017 (the fake Polnischer Panzerkampfwagen T-39). Bernard has a Batchelor’s degree in Philology specializing in Korean and is now doing a Master’s degree in Ethnolinguistics. His main historical interest is WWI and the weapons the various armies fielded in it, as well as the Interwar period, mainly centered around the Polish Army. 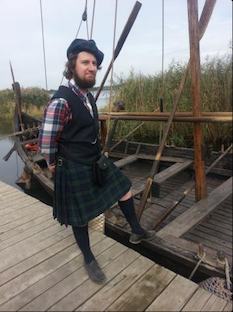 Outside his historical interests, he enjoys world building and has created several languages. Bernard is currently working on illustrating every Polish vehicles (including tanks, trains, planes and cars) used by the Polish Army in WWII including a lot of prototypes and some ahistorical vehicles. Bernard also illustrates for our sister website Plane Encyclopedia. Bernard Baker’s work can be found on his DeviantArt profile. His art can also be found on his website: Commonwealth Triumphant . 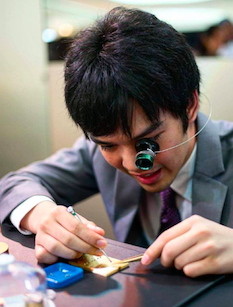 Ardhya Anargha is from Indonesia, and he has particular interest in modern military conflict, history and hardware. 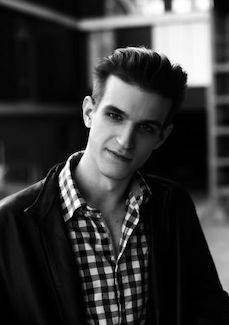 He joined the Tank Enyclopedia team as an Illustrator in 2018. His first illustration work for the website was the IT-28 bridge laying tank. Ardhya Anargha’s work can also be found on his DeviantArt profile. Andrei Kiruskin is from Belarus and joined the team in 2018. Andrei produces all kinds of artwork, but overall tends to enjoy more comic book related stuff. He does enjoy the military theme, but not the historical part of it. Andrei says “I think it’s mainly because around where I live, we had quite a fistful of wars and all the horrors of it…” Andrei’s first illustration for TE was not a tank, quite opposite in fact. It was an experimental anti-tank weapon, the 60mm Lanciabombe. You can also find Andrei Kirushkin on Instagram. The guys behind the scenes at Tank Encyclopedia are just as important as our writers and illustrators. Their roles, such as librarian, liaison, and public archive digger all help the site to be the best it can be. Stan is from Romania and is a Physicist in his offline life. As the team manager, he keeps things on track and makes sure Tank Encyclopedia remains a well-oiled machine (no pun intended). He has also written a number of articles of his own. His first article was about the Canadian M113 C&V Lynx. You can read Stan’s article’s HERE. Nathaniel is from the United States and currently works as both a park ranger and museum docent. Nathaniel attended university and has a Bachelors in History and a Masters in Social Studies and History Education. Nathaniel works in vehicle restoration with the Old Rhinebeck Aerodrome to keep WWI planes and vehicles operational. Currently, he is assisting in the restoration of an M1917 tank, which he operated in the Aerodrome’s airshows. Nathaniel is a liaison between the writers and the artists for Tank Encyclopedia, ensuring that the writers receive the best illustrations they can for their articles. He also narrates Tank Encyclopedia’s Weekly Reports. Nathaniel has written one article on the British Tetrarch light tank which you can read HERE. There are no Russians in the team!!! Thanks guys for the awesome job you do, bloody marvellous!!! in the afghanistan war ? 57 person team…and not a single real life “Tanker”amongst you…That is odd…and sad. Mr Hills, mr Robinson and mr Pawley are all ex-Servicemen, mr Moore is an ex-Scotland Yard officer, mr Kerrs and mr Montes are both licensed historians. So, no, it’s neither odd, nor sad. A number of us also have family and ancestral connections to armor as well.